Of course, the Gospel has a tendency of going against our comfortable, self-absorbed ways (the author not excluded from this assessment! ).God does not call us to personal glory but to ministry, to care for those both in and outside of the Church. Even the word “ministry,” derived from the Greek words diakoneo, meaning “to serve” or douleuo, meaning “to serve as a slave,” opposes our sensibilities—not only must we serve others but serve sacrificially, just as Christ did! Because of this calling, the Church has been ministering to people and communities for as long as those faithful to God’s Word have been gathering together. 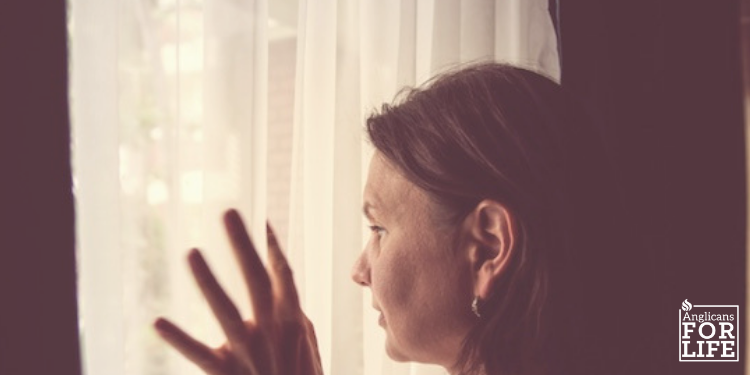 Ministry isn’t pretty—it is often difficult and uncomfortable. And it is certainly not glamorous. But it can be beautiful seeing lives changed, hearts touched, and God’s love felt by those who do not know Him. Ministries are not created by important people—they are built by every hand held, in every gift given, and, sometimes, through every diaper collected. 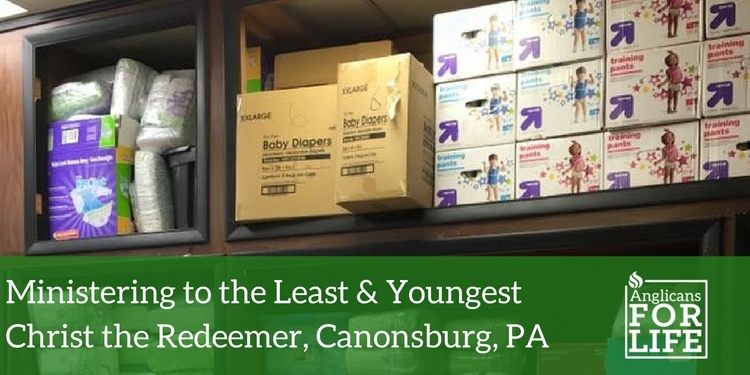 An example of an excellent ministry is the Christ the Redeemer Diaper Pantry in Canonsburg, PA. The parish has been hosting a monthly diaper distribution since February 2015. Their ministry has grown and includes additional diaper drives in neighboring areas. Emily Nugent, one of the Diaper Pantry Board of Directors and main organizers, shared that the ministry did not start with such auspicious beginnings. “The church vestry had been looking for ways to reach out to the community, but nothing had really caught on.” Inspiration dawned when Deacon Regis Turocy and Rector David Wilson found an article in the Catholic Herald about diaper banks and shared it as a ministry idea. Especially in poverty stricken areas, inadequate diaper supplies force parents to leave children in soiled diapers, leading to diaper rash or more serious problems, such as staph or urinary tract infections. “It was really a God moment,” she shared, “I normally don’t talk in vestry meetings, but God told me to speak up and so I looked into it. I just couldn’t imagine, being a mother myself, not having diapers for my children.” The Christ the Redeemer Church now runs the only Diaper Pantry in Washington County. The planning and formation of the ministry began in 2014, and by February 2015 they were ready for their first distribution. 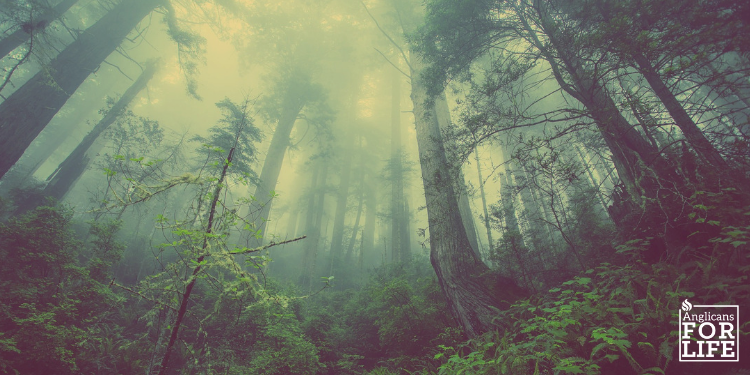 “No one came the first month,” Emily said, laughing, “I cried. I was pregnant at the time, so that didn’t help, but I cried when no one came.” Luckily, news about their ministry spread through the community and, at the next month’s distribution, 28 families came. The numbers have continued to increase. In August 2016 100 families and 150 children were given diapers. At the August distribution the Pantry also passed the 100,000 mark in total diapers distributed since its inauguration in February 2014. The pantry has also expanded to distributing food, clothing, shoes, toys, books, and other items. Beginning a life-affirming ministry like this can be intimidating, but often the easiest way to start is to see what is already being done. “Look for a larger national affiliation,” Emily recommended, “We’re associated with the National Diaper Bank, and they gave us a lot of help on how to start and what paperwork to fill out. 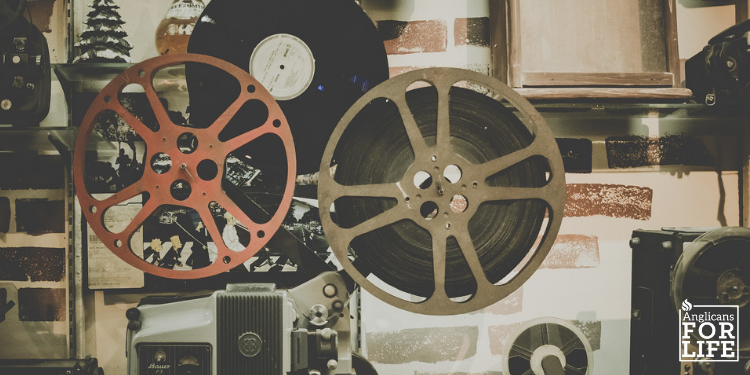 Find a bigger level of what you want to start.” Many of us feel the pressure of having to “recreate the wheel,” but often we can follow the lead of other successful ministries! We applaud the work and dedication of the Christ the Redeemer Diaper Pantry ministry. Their life-affirming work bears witness to the Church’s value for Life and the need for all the people of God to defend, honor, and celebrate those made in God’s image. We pray that not only will their work provide diapers for children and families in need but will also demonstrate Christ’s love for all people of all ages.